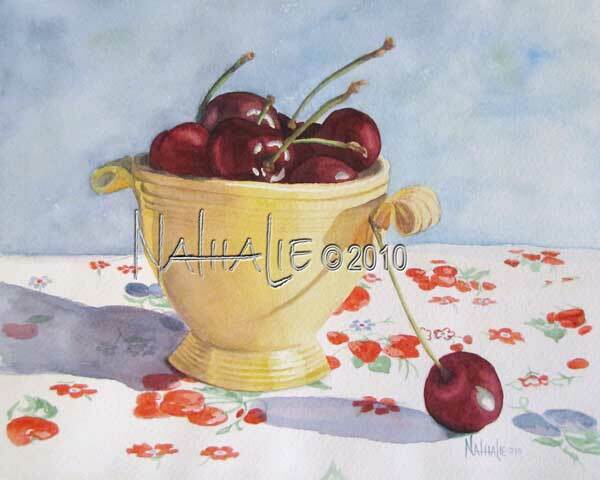 A handful of red, almost black cherries, a yellow Fiesta sugar bowl, a vintage tablecloth, and some wonderful morning light are all the ingredients for a painting. My parents are antique dealers and have blessed me with many wonderful pieces of Fiesta ware. The smaller vintage tablecloths and tea towels have been my newest quest as I visit antique and thrift shops.